You are here: HomenextPeoplenextTilbury Scrubbers!! 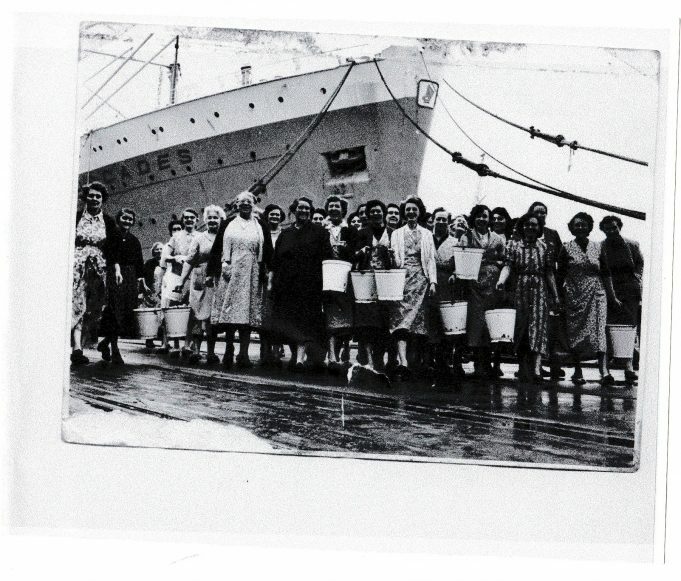 Here is another great picture of the ‘Tilbury scrubbers’ taken by beside a ship in Tilbury Docks. Do you recognise anyone in the picture? Please click to enlarge the photo.